Rigid marquee changeable letters are used on many church, school, and business marquee signs are .060 mils thick which is about the thickness of 2 credit cards. These block style font letters are stiff and will only bend about 45 degrees and made to use with signs that use plastic push up drop down tracking. For overhead signs a letter change pole can be used for changing the letters. Rigid DR acrylic letters are stiff enough to stay on sign in windy conditions and the high grade DR acrylic panel will not fade or discolor. These letter can be used as replacement letters for Gemini Pronto or Zip Change letters. 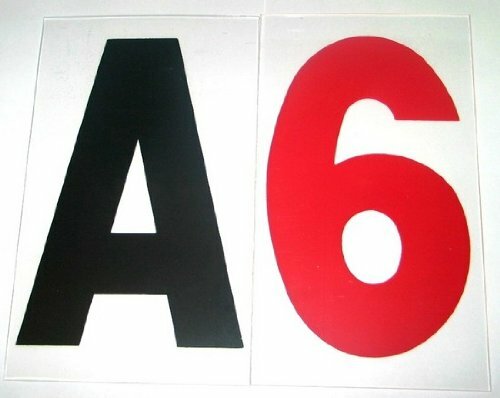 Before ordering make sure you know the type and size of letter you need for your sign. The size of the letter is just one factor for matching the letter with your signs. You need to know the type of letter your sign uses. Rigid letters and thin flexible plastic letters are not interchangeable. Read the letter buying guides if you’re not sure which type letter you need.